If you need a simple solution to listen in to your home or business when you can't be there, then our Room Monitor is for you. It allows you to covertly hear conversations using your telephone line. You simply call into it to hear what is being said. No one will know it is even there! 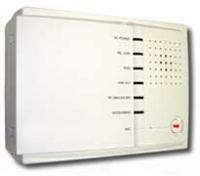 Learn more about our Room Monitor today by clicking the link below. I called and ask a question about the recorder I purchased and someone actually got back with me and answered the question. A rarity in today\'s world. Thanks!